So you’ve decided to take the plunge and to put yourself out there with a website. Whether you’re starting an online business or simply blogging about everyday things, having a website gets your brand online and connects you with people across the globe. Before you can upload your products or thoughts to the world, you’ll need someone to host your site. This is the point when many newbie webmasters make their first mistake: choosing cheap WordPress hosting. Cheap WordPress Hosting: That’s Good, Right? Some things in life shouldn’t cost much: breath mints, chicken nuggets, plastic picnic cups. What do these things have in common? You can buy them for about a dollar. However, when it comes to something like web hosting, cheaper isn’t always better. Just because those chicken nuggets are on the dollar menu doesn’t make them a healthy or wise choice. Likewise, WordPress hosting for only one dollar won’t satisfy even the most basic needs of a new or professional webmaster. Why does it matter? Hosting is hosting. Newcomers to web hosting often go for the cheaper option. After all, it’s all about saving money when you can, especially if you have a limited budget. It’s important to take web hosting seriously from the beginning since it’s quite possible for your website to outgrow your current needs. If the host doesn’t provide certain features and options, you’ll have to switch hosts, which can cost downtime and money. Not all web hosts are the same. Some provide full support from the get-go; others take a more “here you go” approach and leave you on your own. The cheaper a service is, the less likely you’ll get what you need, such as phone support, live chat and help setting up your site. Instead of looking for cheap web hosting, you should look at affordable web hosting, for even five dollars a month is inexpensive and gets you more bang for your buck. 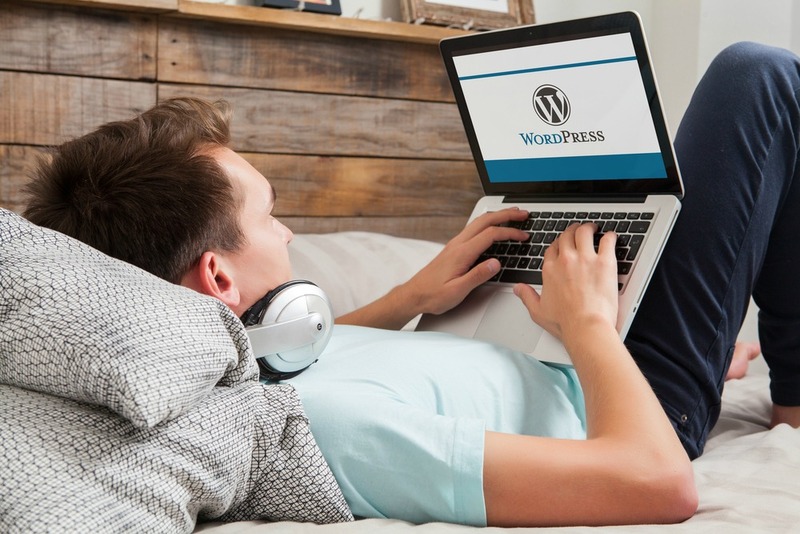 WordPress gives webmasters a platform by which to create a website without much work involved. It has templates for choosing the right theme, easy image import, simple ways to create posts and pages and so much more. Unfortunately, many web hosts take advantage of newbies and offer them a “great” price but don’t provide the necessary service, features and support to help them when they need it. Knowing what to consider when choosing a web host will help you get started the right way and reduce your headaches in the future. 1. Performance is a big deal. Buy a cheap car, and expect it to break down at a traffic light. Buy cheap hosting, and expect it to be down when you need it the most. How quick will your pages load? What’s the uptime? Does the host alert you to maintenance issues and downtime? Check out performance reviews from other webmasters before signing up with a cheap service. 2. Features should be there and upgradable. You don’t get any real features with a cheap web host. Need a trustworthy backup feature in case something bad happens? Good luck with that. Need enough bandwidth to host videos, photos and audio? You won’t find that for a dollar. Make sure to check the feature list of any host so that you get exactly what you need now and can upgrade later if necessary. 3. Support comes in handy. If your plumbing springs a leak, you can call a plumber right away. If your cheap WordPress site goes down or has a problem, you’ll play the waiting game through email responses. Live phone and chat support is a tremendous advantage when you’re running a website. Support also means having someone to help you along the way, such as getting your site up and running or installing a WordPress plugin. You won’t get that kind of support with a cheap WordPress host. 4. Reputation goes a long way. You tend to trust a professional who has experience and years in the business. New web host companies pop up every day trying to profit off newbies who may not understand everything there is to know about web hosting and running a site. These companies lower their rates to catch more attention but don’t offer anything worth the price. They understand that “cheap” is a very popular search term and target that demographic. You’ll want to research web hosts that have been around for years, not weeks. Look for web hosts that have thousands of customer reviews and that have been discussed by popular tech websites. Putting your trust in a business that has very little reputation but a cheap price is a great way to set yourself up for disaster. You don’t have to spend a fortune to receive good web hosting. Yes, a dollar or two sounds like the perfect price for anyone, but you’ll regret it in the long run. The cheaper it is, the less support you’ll receive. By spending less than $10 a month, you’ll get full chat and phone support, sometimes 24 hours a day. You’ll also get more features, upgradable options and oftentimes easy plug-and-play WordPress website creation at the click of a button. Like with anything in this world, you get what you pay for. If you’re trying to shave a few cents off something, you may be sacrificing a bit (maybe a lot) of quality. The cheaper option only sounds good because you’re saving money, but once you realize that you can have even more for just a few extra dollars, the choice is easy. Cheap WordPress hosting isn’t worth it in the end. For between $5 and $10 a month, you can have your website up and running with full support and the option to upgrade it easily in the future. You’ll avoid the headache that comes along with downtime and the feeling that you’re going it alone. Popular mainstream hosts with very good performance and reputation include Bluehost, Siteground, A2 Hosting , Inmotion Hosting and GoDaddy.